Jiro Sushi was made famous by the documentary Jiro Dreams of Sushi released in 2012. The owner, Jiro Ono’s sushi restaurant was the first sushi restaurant to receive 3 Michelin stars and has maintained it’s 3-star rating ever since the Michelin guide started including Tokyo in 2008. This winter, Team GTE was invited through the Ritz Carlton Tokyo for a private lunch at Sukiyabashi Jiro Sushi. Jiro’s son Yoshikazu was our server. There was no menu and the only choice you had was what you wanted to drink (Jiro recommends the sushi with hot tea). Absolutely no pictures were allowed, and to be frank, the experience was much too intense to pause and take pictures. The counter seats 10, with booths behind the sushi bar to eat your dessert and hot tea. Upon entering, you are asked to store large items behind the front desk. Furthermore, bathrooms are outside in the hallway of the shared office building basement. There were two other restaurants also located this unassuming location in Ginza. Even though we had the whole restaurant to ourselves, we still counted almost 10 workers in the restaurant, all with their own roles. The cashier, sushi chefs, food prep, servers, all wearing traditional Japanese slippers. Service was brisk. Everything came not in minutes, but seconds. The meal itself consisted of 20 pieces of sushi all served in 19 minutes. We sat down promptly at 12:30 PM, and finished our sushi in at 12:49 PM. Realistically, If one takes a moment to think about that, it’s actually a pretty amazing feat. Think about a normal sushi experience in the US, 16 pieces for two takes at least 1-1.5 hours. 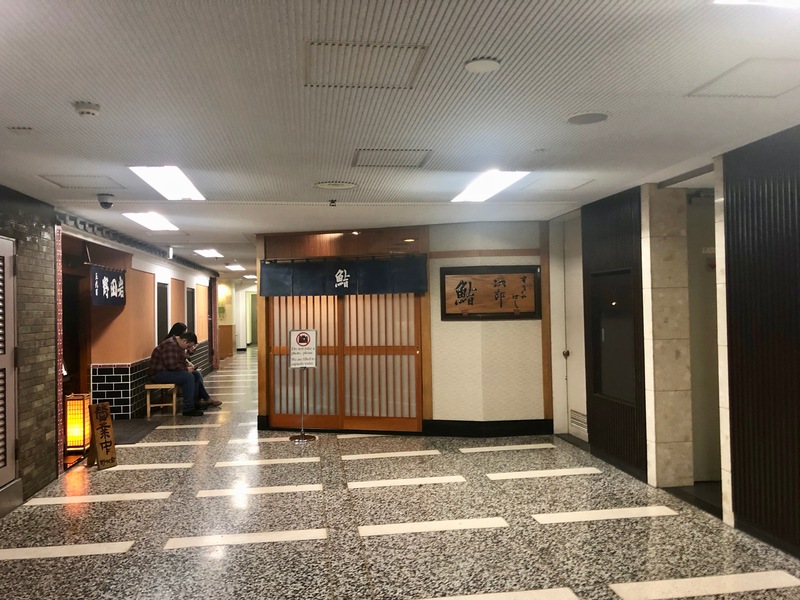 The key difference is that Sukiyabashi Jiro has a whole staff behind the scenes that are prepping the components for the next piece the whole time. Since they only have one menu, this type of precision execution is possible. The meal is split into three different sections or stanzas in a symphony. First are the classic dishes, second are the seasonal dishes, and third, are the sweeter dishes. You can then choose to order whatever you would like. Personally, we chose the Akami as per the movie the tuna is “king”. It was amazing to taste the difference of the highest quality tuna you can get, direct from the source. 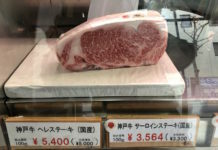 Team GTE would take this over standard Oo-toro in the US any day. Eating 20 pieces in 19 minutes itself is a very impressive feat as each piece of nigiri is not small either. To end, we were ushered to one of the booths to eat dessert of winter melon and green tea. The melon was one of the sweetest and juiciest we have ever eaten. 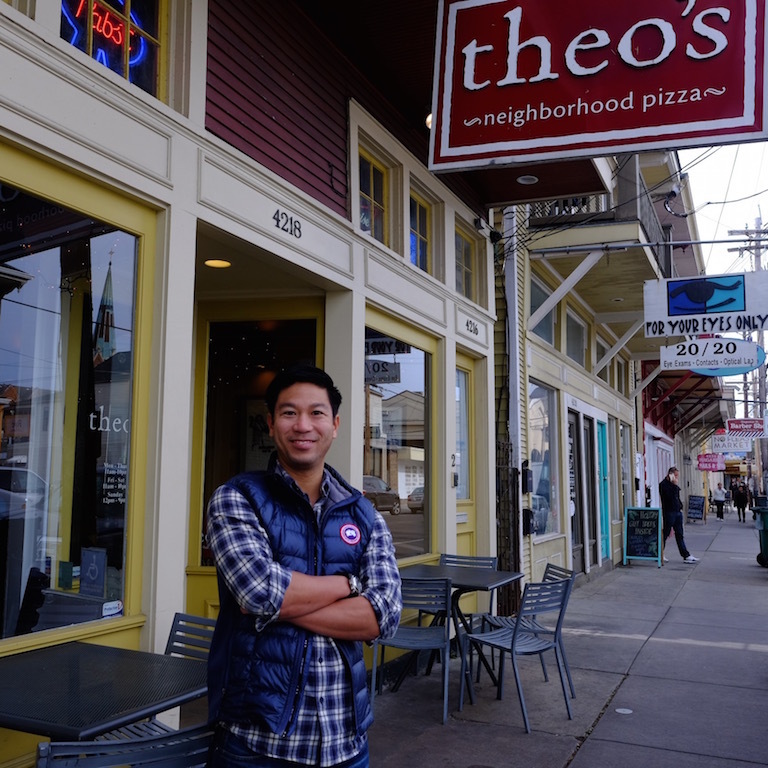 The staff doesn’t try to rush you out after you are finished, but the intense, focused vibe of the small restaurant doesn’t lead you to want to stay there for a while. Plus, one will be so full that one would want to go straight to bed and lie down. 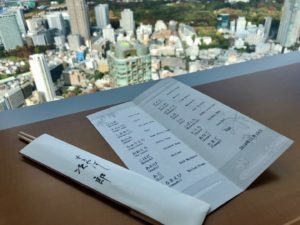 In the 19-minute dining experience, we found a couple of key differences that stood out at Sukiyabashi Jiro Sushi. The meal in every aspect was very quick. The second you are done with the piece of nigiri, the next piece is on the table. The sushi chef is already making the next piece while you are eating the previous piece. Additionally, there are 5+ people in the kitchen and one helper at the bar prepping the materials for the next piece all at the same time. Everything is done in a quick, as they are trying to achieve the perfect timing to eat each piece of sushi from prep to plate. 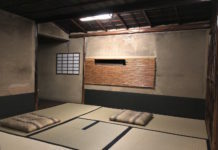 In the movie, Jiro talks a lot about how they put more pressure on the rice than any other restaurant and the uniqueness of their rice. Well, we can confirm that this is no joke. When you taste the rice, the aroma, texture, and flavor just pops. Jiro Sushi is the first sushi where we felt the rice was equally as delicious as the meat. In fact, the first flavor that we tasted upon our first bite was the rice, not the fish. That, along with the intense wasabi taste, and perfectly prepared fish, creates that umami taste that Jiro talks about at the beginning of the movie. What as amazing was that Sukiyabashi Jiro Sushi was able to make normally bland dishes stand out. The most surprising piece that we ate was the Sumi-ika. Usually, squid doesn’t have any flavor and most times is too chewy. This Squid tasted almost like a tuna, and the soft texture was something we have not tasted before. The Ikura was bursting with juice and flavor and had more liquid in each salmon egg than we’ve ever tasted. It also actually had an intensely sweet and salty flavor. Most people remember in the movie the apprentice spending 10 years to make a Tomago that Jiro approved. Well, GTE is no tomago expert but the two things that really stood out was that the Tomago was a perfect consistency (it almost looked solid) and that each piece was cut with perfect 90-degree edges. Those two things we have never seen at any other sushi restaurant (especially around the perfect cut). It seems like the Tomago needs to be of a perfect consistency to maintain such a sharp edge. Outside of the food quality, we were able to notice about a couple of other elements of the service that is provided. When the chef serves each piece, he speaks clearly and slowly enough for you to hear both the Japanese and English names for the fish. It is amazing how many sushi restaurants say each name so fast or their accent is so strong that you can’t hear what they say. Your plate is wiped down immediately after each piece is eaten. Even though each piece is served quickly, the chef will not serve each piece unless it’s perfect. 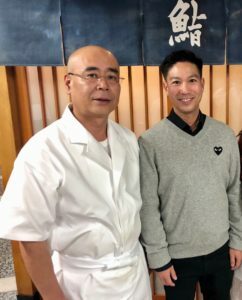 In a couple of cases, we saw Yoshikazu cut another slice of meat or take the time to take out some fibers in the fish to make sure it is perfect. Each piece of sushi is perfect. The rice is perfectly firm enough but moist enough so the fish sticks to the rice. Not once was the fish falling off the rice nor were there any pieces of loose rice on the plate. This is an interesting point as the next time you eat nigiri, notice that is very hard to eat 20 pieces without the fish getting loose or some of the rice breaking, just even one time. The main question that we get asked is “Is it worth it?”. People tend to put a price on the meal by saying it’s the most expensive meal per minute, which probably true. But that is what sushi was originally all about. It’s origins come from outdoor booths functioning as quick bites. To go to Sukiyabashi Jiro is to experience the best in sushi while maintaining homage to the past. This is not some swanky branded sushi joint like Rumblefish in LA. On top of that, reservations to Sukiyabashi is extremely difficult to obtain. Reservations are taken only 1 month in advanced through high-end local agents or select 5-star hotels. The price, the meal for two was roughly $750. Ironically, the full Kaiseki meal at 3 Michelin Star restaurant Hyotei was $1200, or Bo Innovation in Hong Kong, which was $1300 with wine pairing. Which means price wise, shows that there are more expensive meals out there. Every true sushi lover should try to eat at Sukiyabashi Jiro. It was the first and longest standing sushi restaurant to receive 3 Michelin Stars. But, don’t go just because it has 3 Michelin stars or else you will be another person complaining that it not worth it for just 20 minutes. To be honest, the whole experience at a restaurant like Hyotei was a lot more memorable, and they offered fish at the same level of quality as Sukiyabashi Jiro. 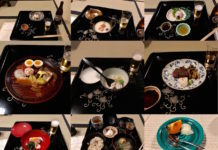 For a truly unique Japanese experience, Team GTE recommends a complete traditional kaiseki meal. There is a lot of good sushi around the world these days, and it’s not like Sukiyabashi Jiro is head over heels better than your favorite sushi spot. But if you are a true foodie, and appreciate the little details like perfectly formed rice, fish not served to you unless the slice is perfect, or the perfect tomago cut with exactly 90-degree edges, then as a connoisseur, Sukiyasbashi Jiro is for you. Maybe Jiro or Yoshikazu will let you take a picture with them too.